While many have decried that email is dead, a handful of marketers have quietly been using little-known email marketing techniques to generate massive results. 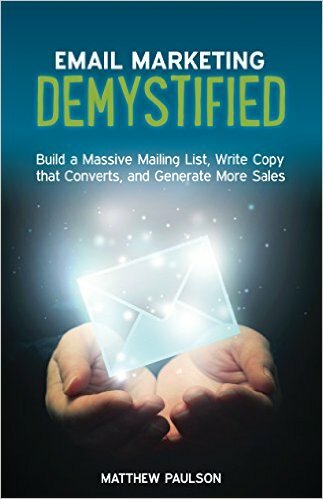 In Email Marketing Demystified, digital marketing expert Matthew Paulson reveals the strategies and techniques that top email marketers use to build large mailing lists, to write compelling copy that converts and to generate substantially more sales using nothing but their email list. Thanks for sharing wonderful and clear cut informations, helped me to gain more knowledge.